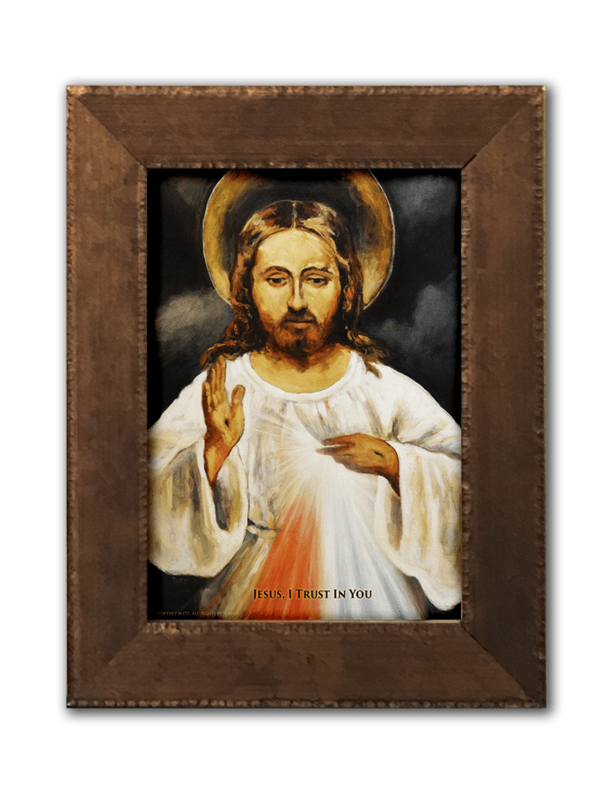 Framed Divine Mercy image with Divine Mercy Chaplet prayer on the back. Size: 6x8 inches, with wire hanger on the back. 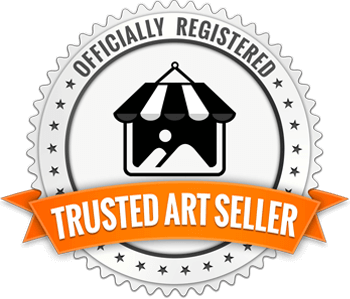 Inspired by the original painting commissioned by Sister Faustina in Vilnius, Lithuania.